The Kia Soul has a long list of available features that can add 25 to 30 percent onto the bottom line. Stick with a rearview camera and audio package if you must, but skip the sunroof. The 2017 Kia Soul gets a much-needed engine upgrade this year to complement its good looks and great packaging. The compact hatchback is among our favorites for style and versatility—and that's before we've talked about the starting price. The Kia Soul is heavy on style thanks to its compact and boxy stance and flair. It's a shape that's been around with us for a few years but doesn't manage to get old. Perhaps that's because the roofline and proportions are just right; chunky body panels and dramatic angles just complement those elements without taking over themselves. Inside, the Soul is a little more subdued with attention paid in places. There's an acre of black plastic in the dash, but there are hints and touches of chrome and glossy trim that break up those boring places. The Soul is offered in base, Plus, and Exclaim trims (Kia uses the punctuation "+" and "!" marks, which we'll avoid for clarity) each with a different engine and transmission combo. 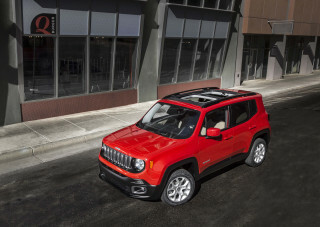 Base models get a poky, 130-horsepower 1.6-liter inline-4 that can be mated to a 6-speed manual or automatic. It's fine for around-town duty, but we'll tell it like it is: base cars are slow. 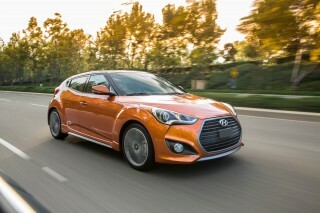 Plus models get a 161-hp 2.0-liter inline-4 with a 6-speed automatic that picks up the pace a little. These models are better on the highway, but we've found that a searching 6-speed manages to spoil the fun a little. The new top-of-the-line Exclaim models get a 201-hp turbo-4 borrowed from the Elantra Sport that makes the Soul more confident—not necessarily sporty. It's paired exclusively with a smooth shifting 7-speed dual-clutch automatic that we like very much, but the turbo models still howl like the others when pushed past 4,000 rpm. In all cases, the Soul is composed on the road, although its ride is a little harsh and its tall center of gravity doesn't help much on twisty roads. The Soul excels in interior packaging with enough room for four adults and plenty of gear. With the seats up, more than 24 cubic gear can be stuffed behind the rear seats. Drop the 60/40-split rear seats down and more than 60 cubes can fit into the Soul. Most body types will find enough room around the Soul's tiny footprint. Our favorite part: rear-seat passengers get more than 39 inches of leg room, which is more than many SUVs. 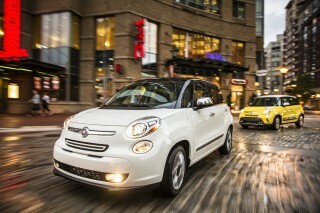 Federal testers give the Soul a five-star overall rating, and the IIHS has given it top "Good" scores. It stops short of earning higher marks for a couple reasons. One of them? If you want to add a rearview camera to base models, you'll have to shell out more than $2,000 to do it. The rearview camera is bundled in a $500 optional package that requires an automatic transmission (a $1,560 option for base cars). Beyond our gripes with the rearview camera, the Soul is fairly well equipped with air conditioning, Bluetooth connectivity, satellite radio, cloth seats, and a 60/40-split folding rear seat. We'd stop short of calling that excellent base equipment because some features such as cruise control and a center console armrest were left off the list. A long list of options bundles can add everything from leather to ventilated seats or an 8.0-inch touchscreen. 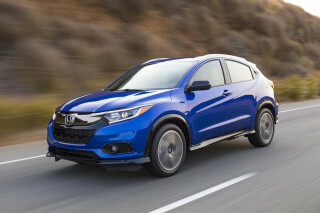 Plus models may hit the sweet spot for many buyers, although its starting price of more than $20,000 seems like a far cry from the $16,840 entry price for base models. A heavy hand on the options list can inflate the Soul's prictag beyond $25,000, but at least buyers will have the bragging rights of ordering a car from the factory with a so-called "Primo Package," which is nice. 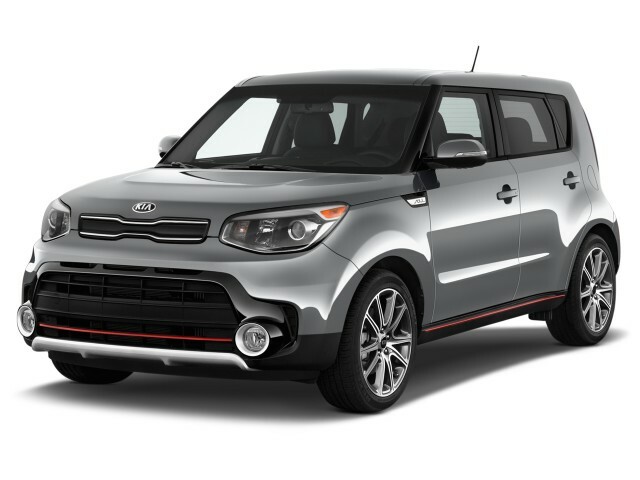 The Kia Soul is proof that good looks don't have to break the bank. The Kia Soul is a refreshing take on a type of car that can be easily overlooked for being cheap or utilitarian. Like a good thrift store find, it's proof that style doesn't need an inflated price tag. The Soul's fundamental proportions have stayed the same throughout the generations. The same abrupt windshield pillar and somewhat canted-back look add to the roofline's profile that manages to be boxy without being too square. Higher trims get body-colored exterior bits and pieces which tie the car altogether better, but even base models aren't short for good looks. In all, it's something that's done very well—and it also happens to be inexpensive. The look of the 2017 Soul, inside, is a bit more finished than in its previous iteration—and overall, it feels like an inexpensive small car peppered with some surprisingly premium bits. The chunky steering wheel, sporty gauge cluster, and soft-touch materials from elbow level on up add to that impression. Center-stack climate, audio, and infotainment controls are all canted slightly toward the driver, and speakers are elevated atop side vents on the dash. 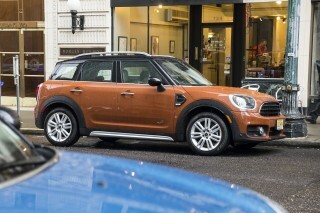 A new, zesty turbo model adds much-needed kick, the rest of the Soul lineup is a little ho-hum. For 2017, Kia addressed the biggest gripe with the Soul that many had: its funky exterior didn't have a spunky engine to match. This year, a 1.6-liter turbo-4 has been planted in top models with a 7-speed dual-clutch automatic that makes the most of that grunt. The Soul is offered in three models, each with different powertrain options. The base Soul is powered by a 1.6-liter inline-4 that makes 130 horsepower an 118 pound-feet of torque, which can be mated to a 6-speed manual or automatic. If that sounds slow, that's because it is. It's suitable for around-town duty, but it feels flustered making highway passes, or carrying a lot of cargo. A 2.0-liter inline-4 is offered in the Plus models (Kia uses the punctuation "+" rather than the word, but we're opting for the word) that makes 161 hp and 150 lb-ft of torque. The 2.0-liter inline-4 comes only with a 6-speed automatic and is quick to respond with downshifts when needed, out of corners, or when accelerating from traffic snarls. The downshift behavior from the transmission is a little over-eager on the highway, where it too easily lets the engine race and bounces between the very tall sixth gear and fifth. This type of "hunting" behavior is relatively rare today, and most automakers have tuned it out with transmission programming (having it just hold the lower gear for an extended time). It's a nuisance you'll get used to, though, as there's a manual gate allowing you to lock in a particular gear (and only forcing an upshift near redline). The new top of the pile in Exclaim models (Kia uses "!") 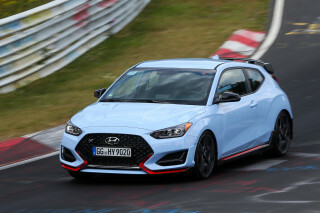 is a 1.6-liter turbo-4 borrowed from the Elantra Sport that makes 201 hp and 195 lb-ft. Our first impressions led us to think that the turbocharged inline-4 is meant to make the Soul more confident in passing and on highways, rather than an outright performance rival. There's plenty of initial torque steer if you stand on the gas pedal from a stop, and "Sport" mode stiffens up the steering without having much of an impact anywhere else. Four-wheel disc brakes are included in all three trim levels of the Soul; that's a noteworthy upgrade versus the rear drums in other budget car picks. We've found the ride to be a little too harsh sometimes, but the Soul's ride isn't nearly as busy and lean-prone as you might guess from tall, short-wheelbase model. A much stiffer structure came with the last redesign, in 2014, and it allowed engineers to add more suspension travel overall while more closely reeling in pitching motions. What makes the biggest difference is the twin-path dampers—essentially allowing better body control and a more reassuring feel when you push it hard into corners, while also offering better isolation from the smaller bumps when you’re pointed straight ahead. The Soul is hardly a canyon carver, so keep your performance expectations tempered or consider a sportier hatchback such as the Juke or Golf if you need outright speed. Don't let the dimensions fool you, the Kia Soul is spacious on the inside for four adults and their gear. The Kia Soul is a case study in effective packaging and utility for many compact cars. Its small footprint belies the generous space inside for four adults (five, if you must) and their cargo. Up front, the low-set instrument panel gives the impression that drivers are sitting higher than they actually are. Taller drivers may have a tough time lowering the seat as far down as it would need to go, nor will they find much thigh support. (We'd suggest skipping the sunroof for long torsos or anyone taller than 6-foot-3.) The seats are firmer and more supportive, however, which should help for long drives. Luckily, in Plus and Exclaim versions, there’s a fold-down center armrest that could serve as a useful dividing line for at-odds siblings. And across the lineup, getting in and out is easy, whether you’re talking about the front seats or the back ones. The Soul's compact roots have shown through in road noise coming into the cabin. On a first drive of the new 2017 turbocharged model we found that the drone was still present—and acute past 4,000 rpm—but we haven't yet driven the rest of the lineup. Crash data is generally good, but the Soul is missing key features. The IIHS and federal testers agree that the Kia Soul is structurally sound in a crash. The IIHS gave the car top "Good" scores in all tests, and federal testers give it a five-star overall score. All models include a total of six airbags, with dual front airbags, seat-mounted side bags, and full-length side curtain bags. It's also worth noting that even the base Soul includes superior four-wheel disc brakes, while many other inexpensive small cars include just drum brakes for the rear wheels. Anti-lock braking, brake assist, hill-start assist, and electronic stability control are all included. Outward visibility is still a mixed bag—great out in front and to the side, with a rather high driving position, but difficult for lane changes due to the thick rear pillar. A rear camera system is included with the top Exclaim model; it is included on the Soul Plus if you get the UVO eServices Package, and can now be optioned on base-model Souls once you select the automatic transmission and the UVO eServices Package. Kia also offers an advanced safety suite that includes blind-spot monitors with rear cross-traffic alert, lane departure warning, and forward collision warning systems. Kia's superlative warranty is the standout here, and the Soul has a long list of options that can push the price well past $20,000. 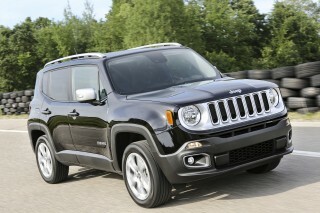 Base models start at $16,840 with a 1.6-liter inline-4 and a 6-speed manual. They're also equipped with air conditioning, Bluetooth connectivity, satellite radio, cloth seats, and a 60/40-split folding rear seat. We'd stop short of calling that excellent base equipment because some features such as cruise control and a center console armrest were left off the list. Stepping up to Plus versions swaps the 1.6-liter inline-4 for a 2.0-liter inline-4 and more creature comforts that we appreciate. A 5.0-inch touchscreen for infotainment is standard on Plus models with a rearview camera, and the cloth upholstery is also upgraded. The Plus model sports 17-inch wheels and body-colored bumpers and trim pieces that make the Soul look better on the road. Most of the Soul's advanced safety features are available on the Plus models, which we cover separately. 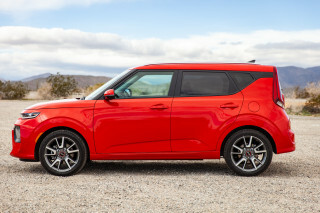 Top-trim Exclaim models add a turbocharged 1.6-liter inline-4 this year and 18-inch wheels along with sporty exterior upgrades like chrome exhaust tips and a red "Soul" badge. Inside, a 4.3-inch LED instrument cluster is swapped in and leather seating surfaces with piano black trim give the interior a classier feel. Exclaim models add keyless ignition. Like past years, options abound for the Soul. 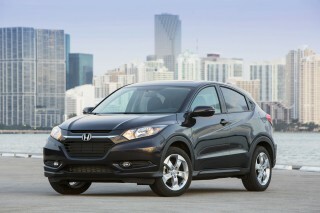 Seven packages add a range of comfort features, but can add to the budget compact's bottom line quickly. Frustratingly, equipping a base Soul with a rearview camera requires more than $2,000 in add-ons—$500 for the options package and $1,560 more for a rearview camera. We'd prefer that it's a standalone option for drivers interested in safety. A $3,000 technology package upgrades the 5.0-inch touchscreen with an 8.0-inch model, Harman Kardon speakers, speaker lights, heated front and rear seats, a heated steering wheel, blind-spot monitors, and power-adjustable front seats. We like the latest UVO infotainment system, which is based on an Android Linux operating system instead of the Microsoft backend of previous versions. It's refreshingly quick, with intuitive menus as well for the most part. For $6,000 the so-called Primo Package and Audio Package throw the kitchen sink at the Soul, and include a sunroof, leather heated and ventilated front seats, heated rear seats, advanced safety features, and LED exterior lights. 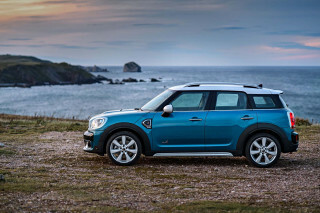 The new sportier Soul manages 28 mpg combined, although other models aren't far behind in fuel efficiency. The 2017 Kia Soul is a compact hatchback by footprint, but its tall boxy body moves too much air to be as fuel efficient as others in its class. The new 1.6-liter turbo-4 with a 7-speed dual-clutch automatic is the efficiency leader for Kia—we cover the Soul EV separately—and is rated this year at 26/31/28 mpg. Soul Plus models equipped with the 2.0-liter inline-4 are rated at 25/30/27 mpg. A 6-speed manual is available on base models, but doesn't extract any mileage gains and is rated at 24/30/27 mpg. By comparison, front-drive Nissan Juke models and all-wheel-drive Subaru Crosstreks are rated at 29 mpg when both are equipped with automatic transmissions. Smooth, quiet ride. Handles all roads nicely. I've never owned anything but a KIA since 2002. Have had different models, Sedona, Rio, and the last two have been a Soul. They are all "Exceptional Kia makes! !